Does anyone have use for vintage 1979 bathroom mirrors? you think they’re viable candidates for the MemX Shelf. 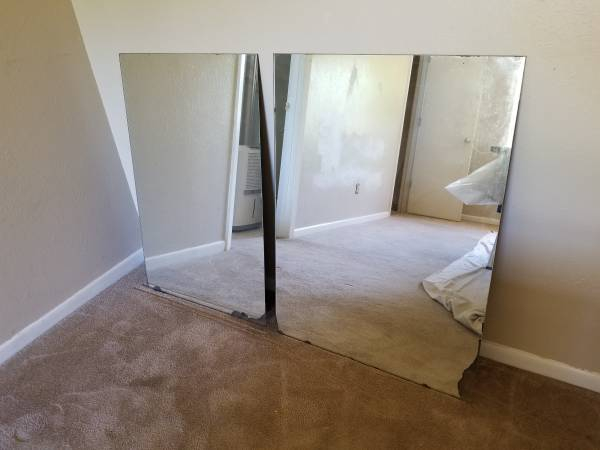 Can you cut mirrors like you cut other glass or does the backing prevent that? I need a full length mirror (or close enough) and was going to buy a cheap one and make a frame for it. This might work instead if I can get it in my car. Also does a controlled cut induce the 7 years bad luck of breaking a mirror? Ive cut mirror in the distant past. I didn’t have any trouble with it either. I cut mine for my car, I put tail lights in the back dash horizontally & then used mirrors to project it out the rear glass. My intention was to blank out the originals.